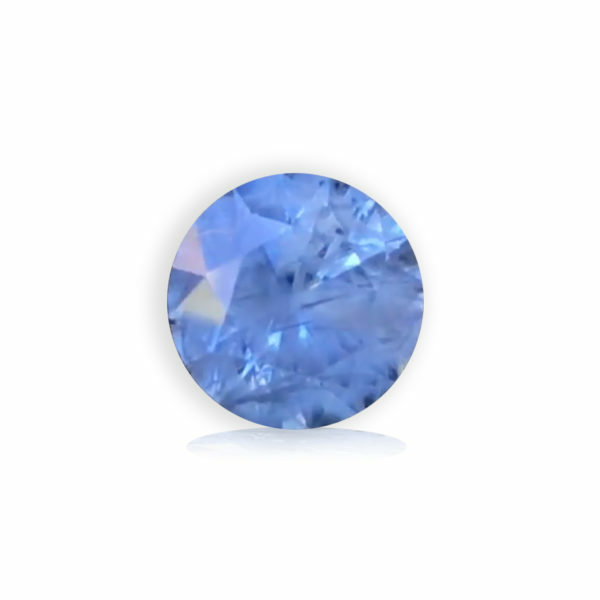 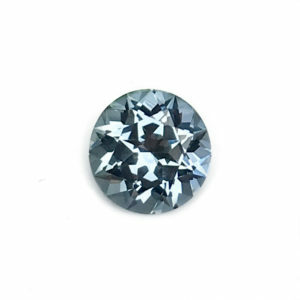 This All American Sapphire ® displays a light tone blue color that remains the same regardless of light source. 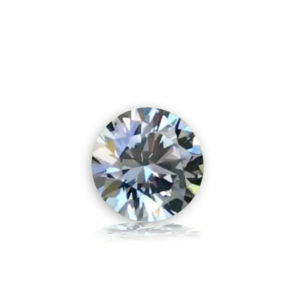 It is cut in the round brilliant shape to diamond hearts and arrows specifications but inclusions in the stone significantly diminishes its brilliance. 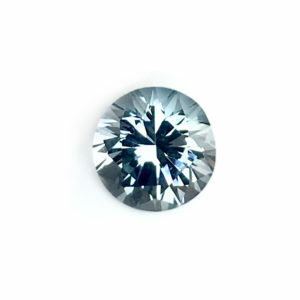 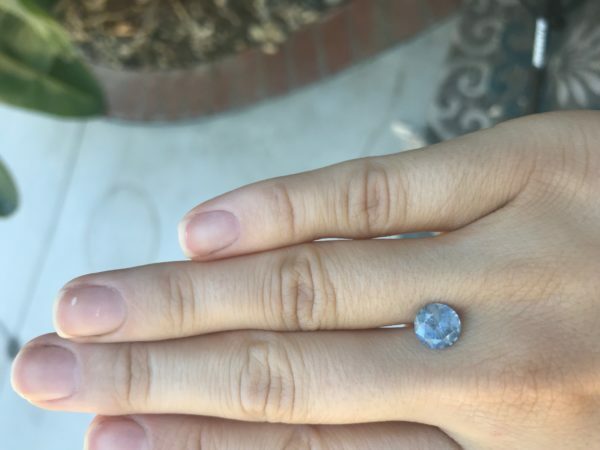 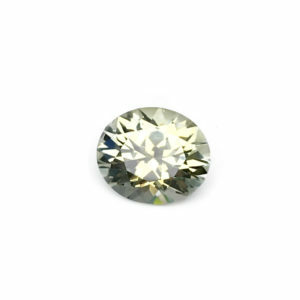 Because of the inclusions it is priced at less than 1/10th the price of a similar stone without inclusions, and so it is very affordable and can be used in any number of jewelry designs that do not call for center stone brilliance.